This chair is synonymous with the English gentlemans clubs of the 1930s, a copy of the Times and a whisky and soda would complete the picture. 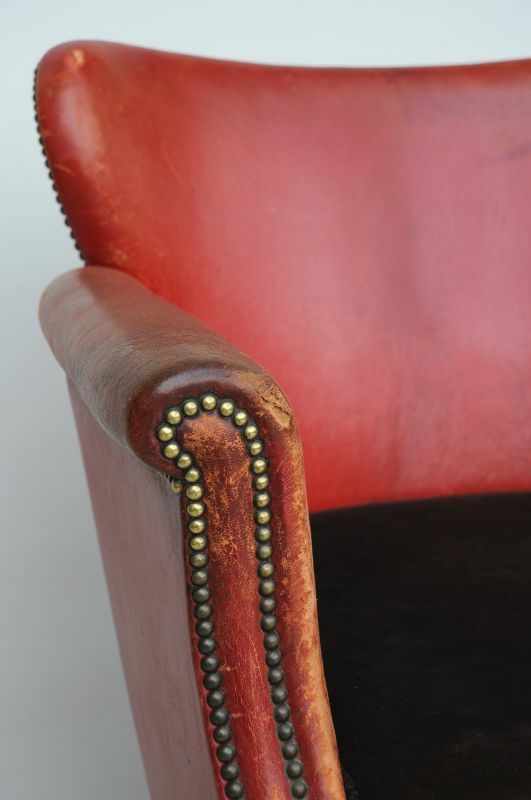 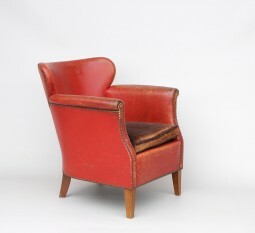 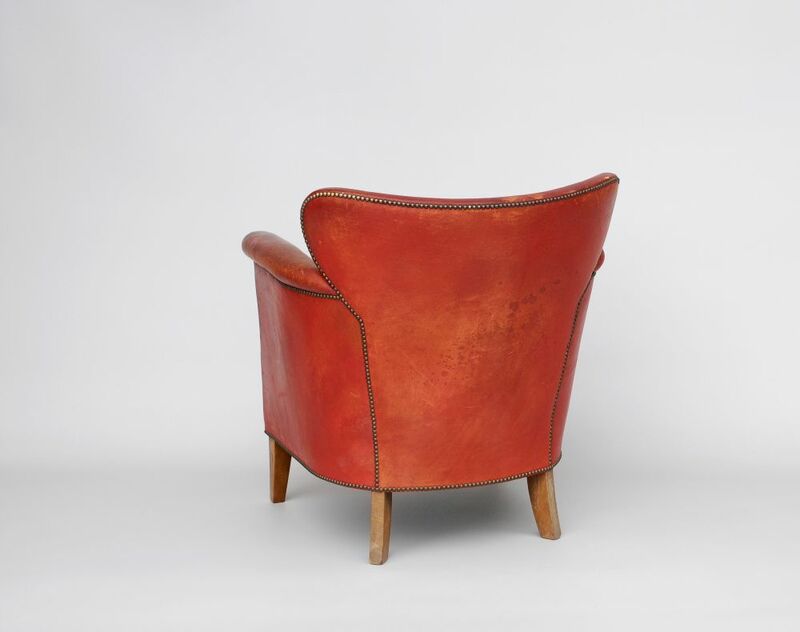 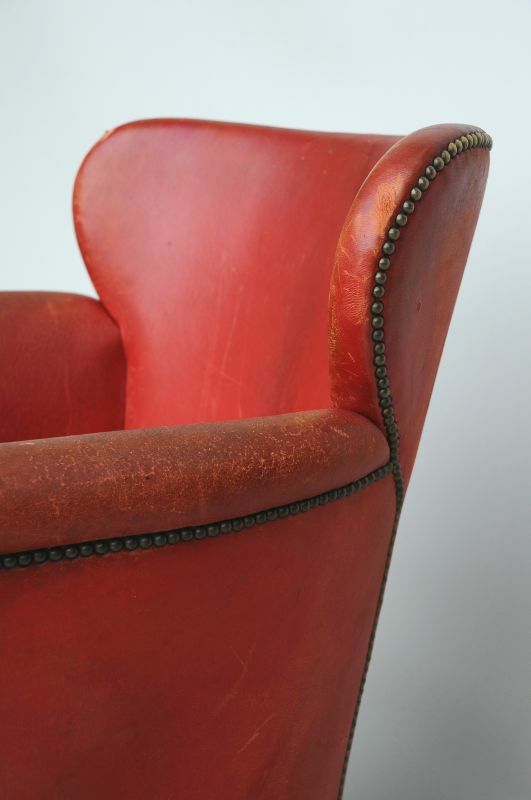 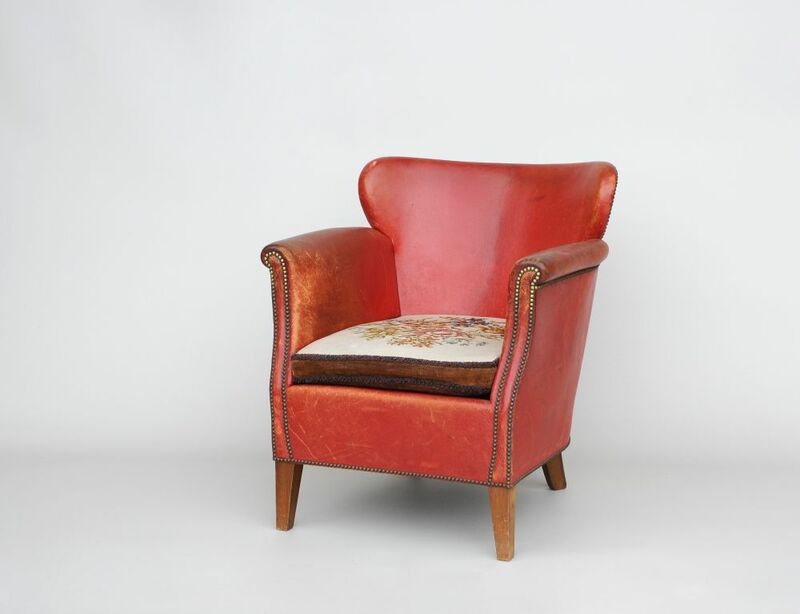 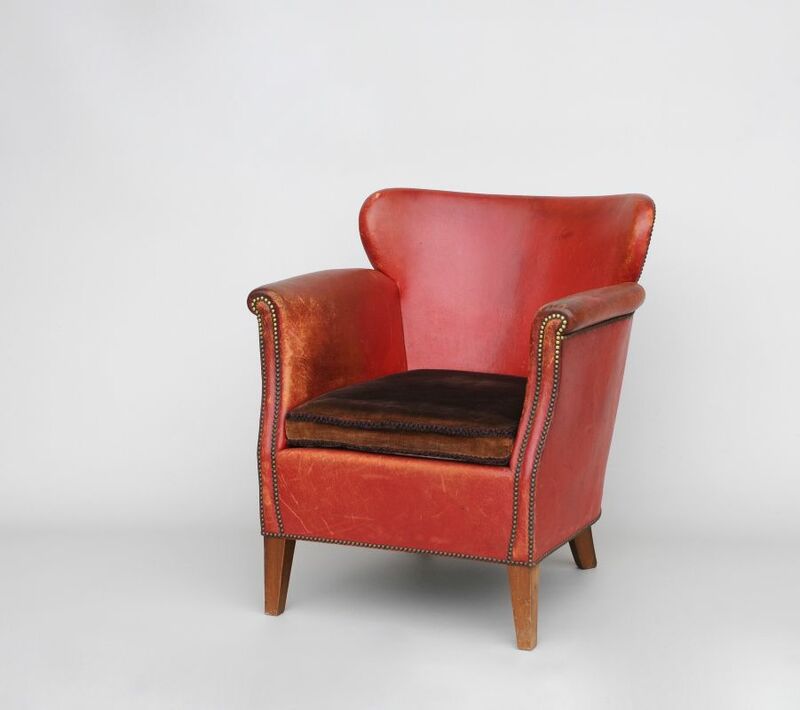 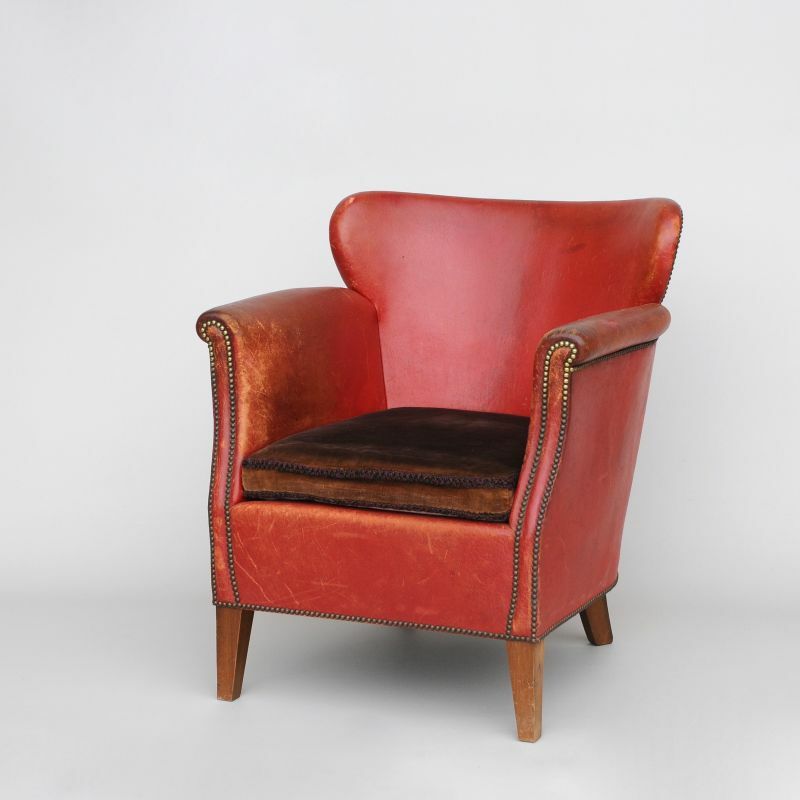 The red coloured leather has a well used look and has developed fantastic character and patination over the years. The chairs have great style: elegant and comfortable, but are also space saving because there’s no bulk to the arms or back. 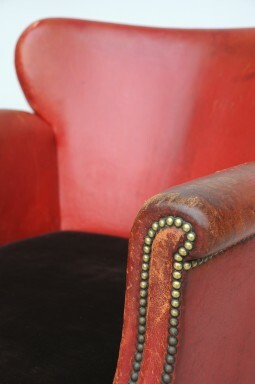 The cushions were always a velvet fabric to prevent slipping out of the chair. This cushion has a needlework on one side. 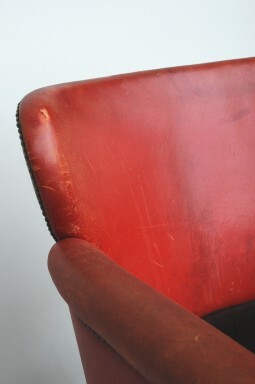 The armchair is in good condition with a few scuffs and scratches to the leather, but no holes. 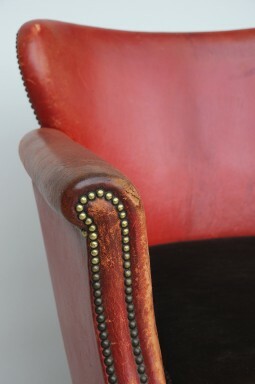 The measurements are approximately 68 cm wide, 72 cm deep and 72 cm high. The seat is at 40 cm.